The electronic foam mixing system which very accurately mixes foam concentrate and water, based on the actual firewater demand of the system. 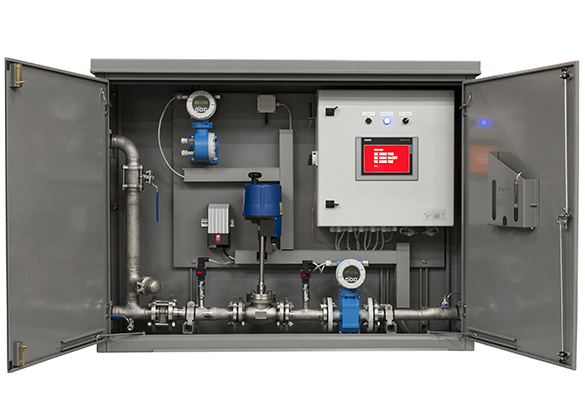 This is achieved by continuous monitoring of the firewater and foam concentrate flows, using electromagnetic flowmeters and real-time adjustment of the concentrate control valve. The accuracy and stability of the system is based on the combination of specially selected components and a unique control system with state-of-the-art logic developed specifically for the electronic foam mixing system. 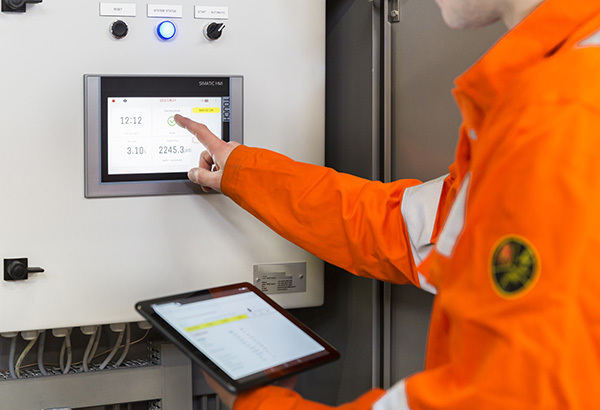 The control system records all process values and alarms during operation or test which are available via a user friendly interface. 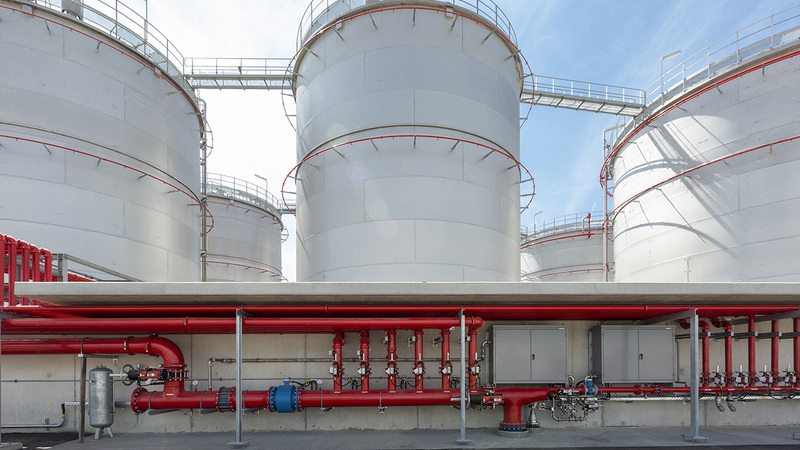 The system performance can be regularly tested without mixing foam and water, thus avoiding environmental concerns and depletion of valuable foam stocks. 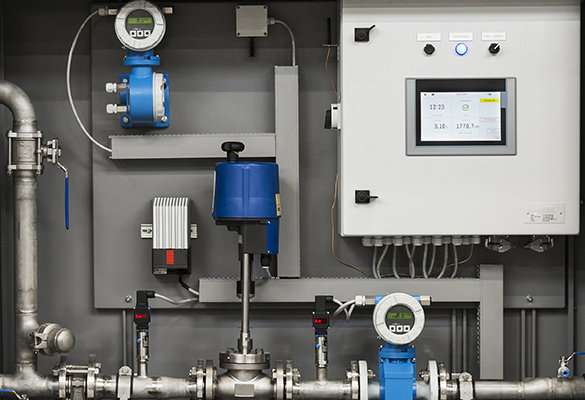 Foam proportioning systems rely on the accuracy of the percentage mixing ratio of foam concentrate to water, with this technology the accuracy can be controlled to finite levels and will automatically adjust to changes in system demand. 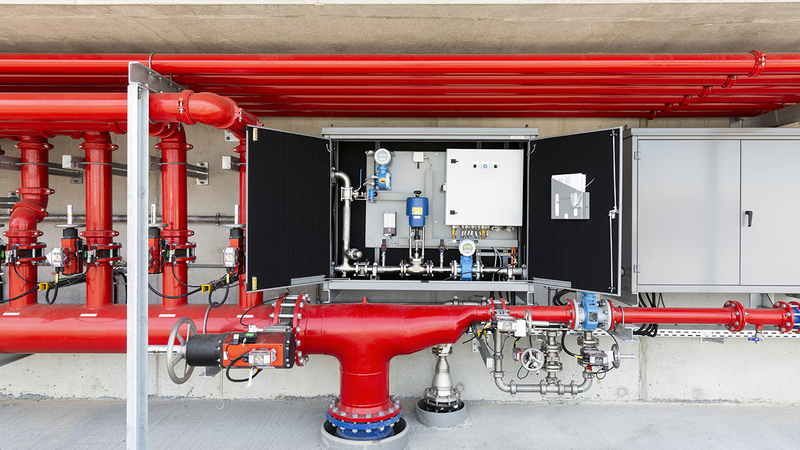 An advantage of the electronic foam mixing system is that there is no pressure loss in the water supply towards the extinguishing systems. 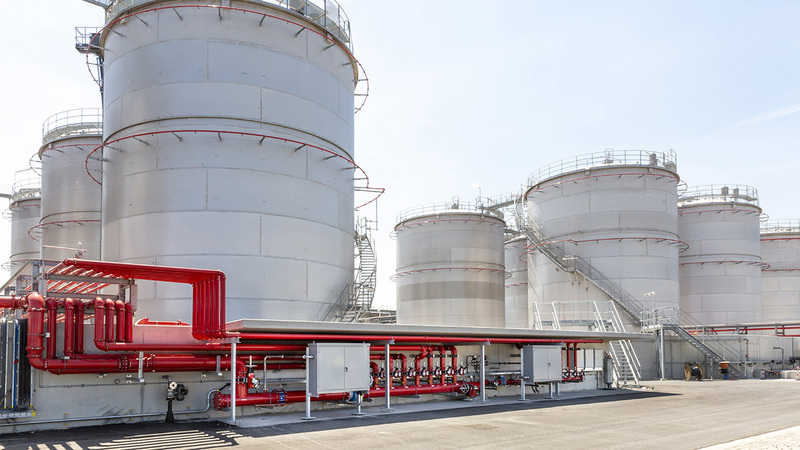 It can be installed close to the foam storage or on remote locations where multiple systems can be used on site using a centralized foam storage system. The cabinet is designed for the harshest environments, it’s manufactured from stainless steel and powder coated to ensure maximum corrosion protection. The complete assembly is preassembled using high quality components. Options such as cabinet heating and insulation are available. 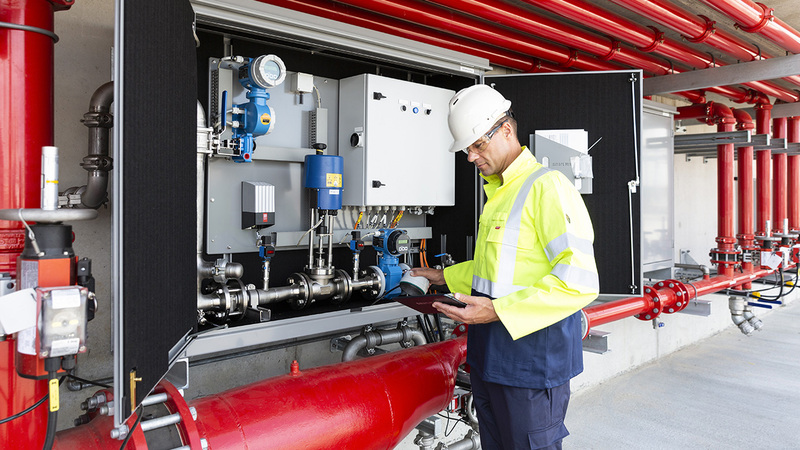 Every component of the system has continuous signal monitoring and performs self-diagnostics. In addition the flow control valve is tested automatically on a daily basis and the performance of the check valve in the foam concentrate supply line is monitored for leak free operation. A touchscreen is integrated into the front panel of the controller cabinet. 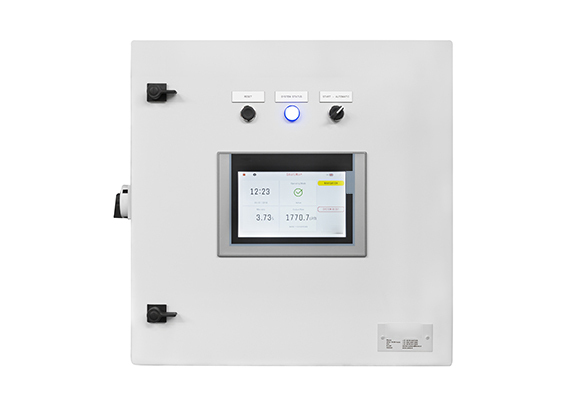 This intuitive graphic user interface allows a user to view system parameters and diagnostics. 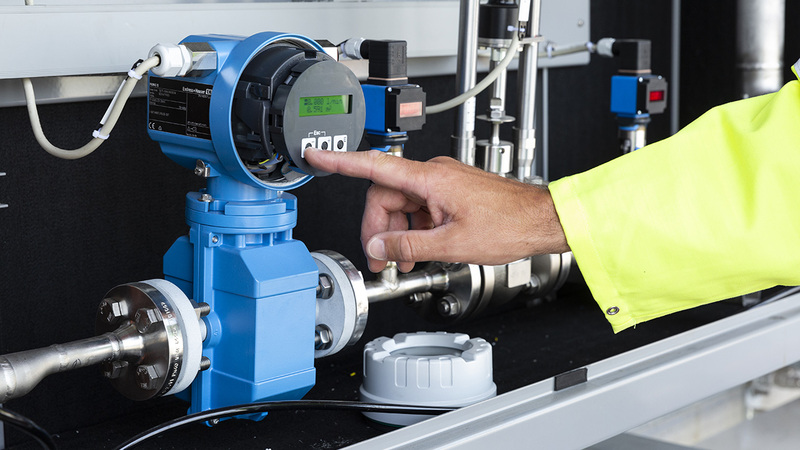 All process values, alarms and events are recorded during normal operation and testing of the system. This system can be adjusted to match project specific requirements and components will be selected to ensure optimum operation. The system capacity depends on the allowable pressure drop over the flow control valve which is sized to suit each application. Examples of system capacity are indicated for 1% and 3% mixing ratios. The electronic foam mixing system up to DN50 is standardized into the same cabinet, larger sizes are available and will be custom built. Other flow rates are available up on request.